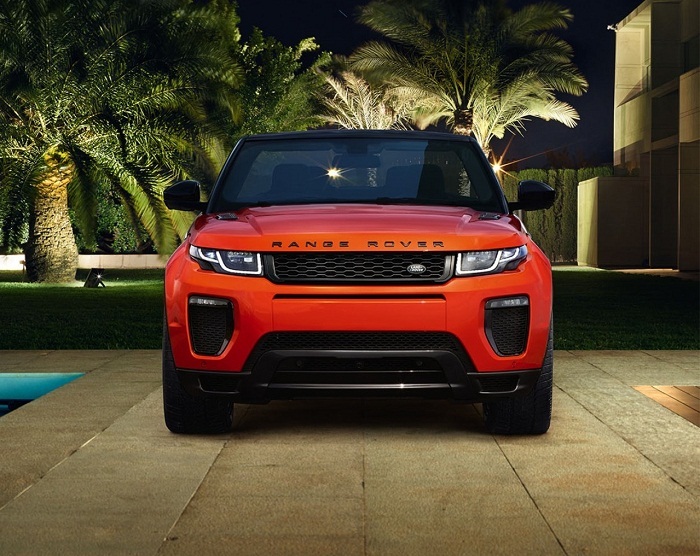 Showcased three years back in 2012 during Geneva Motor Show, British car maker Land Rover has finally disclosed the details of convertible Range Rover Evoque. 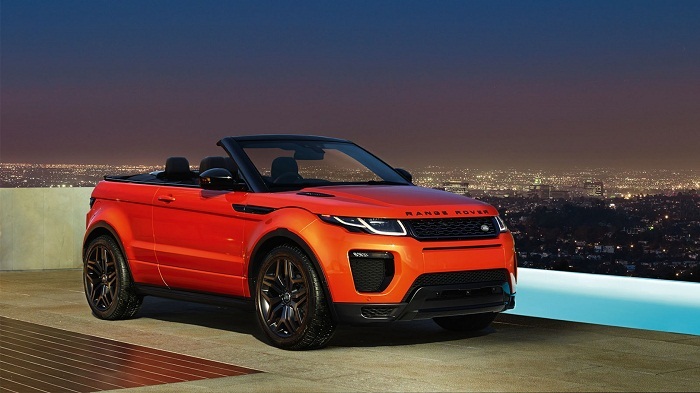 The convertible Evoque is the first ever convertible vehicle by car maker and is perfect match of conventional luxuriousness of Range Rover vehicles along with contemporary features which succeed in making it a perfect convertible. However, as an impact of retracting roof it gets quite heavier than existing version of Evoque. Offered in both petrol and diesel variants empowered with four cylinder engine, the convertible Evoque is equipped with fleet of various remarkable features. With an objective to give this convertible an unchanged look when its roof is wrapped off it has been developed with Z-fold technique. According to company sources the fabric used for developing roof is the lengthiest roof mounted on any of the convertibles being sold in international market. The automatic roof folds in 18 seconds and could be covered in the span of 21 seconds while driving your vehicle at the speed of 48kmph. Available in four wheel drive option and mated with nine speed automatic transmission system the Evoque also embellishes features like all terrain management system, wade sensing system and many more. On the interiors front it receives Land Rover’s generation next 10.2 inch touchscreen infotainment system with InControl supporting connectivity with smartphone, 3G internet connectivity, door to door navigation system. Moving ahead to provide safe travelling experience to passengers it receives features like roll over protection system followed by folding bars covered under rear portion. According to sources of company it expects that convertible version of Evoque SUV will help in strengthening position in International car market.